There's not much to report about local hawks, Christo and Dora, except that they are still working on a new nest in the old ginkgo tree in Tompkins Square Park. This morning, I found them together on one of their favorite perches at Village View on First Avenue. Dora is on the left, and Christo is on the right. 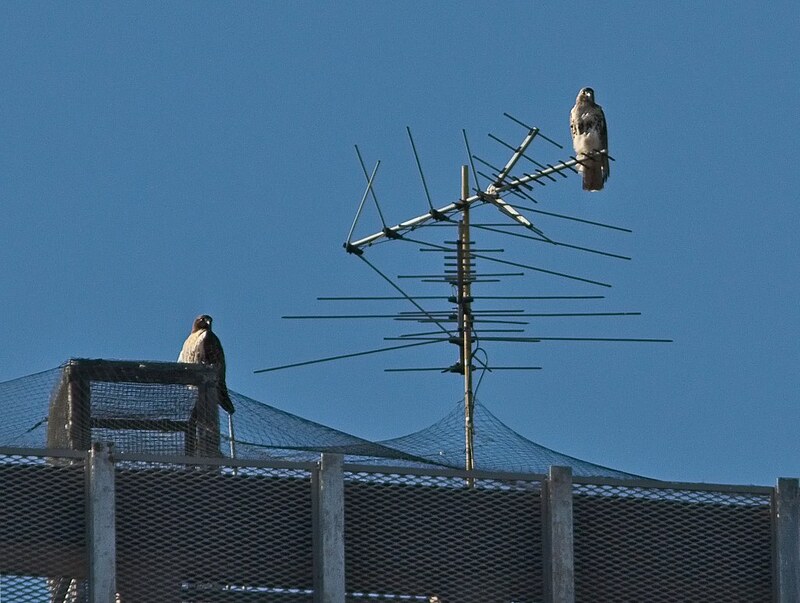 They usually perch together on the chimney cover - I don't recall seeing either of them perch on the antenna before, so that's new. They seem content and have been spending a lot of time together. In this case, no news is good news.